Pursuant to an October 10 transfer order filed by the United States Judicial Panel on Multidistrict Litigation, cases involving claims against the maker of breast cancer drug Taxotere have been consolidated under the supervision of U.S. District Judge Lance Africk in the Eastern District of Louisiana. At present, no less than 33 lawsuits have been initiated by plaintiffs arguing that they suffered permanent hair loss as a result of chemotherapy treatments utilizing Taxotere, and that pharmaceutical giant Sanofi-Aventis promoted use of the drug to the detriment of existing alternatives that did not pose a similar threat of lasting alopecia. Common to the cases now being consolidated into the multidistrict litigation (MDL) before Judge Africk are claims that the maker of Taxotere failed to meet is obligation to provide full disclosure of a suspected link between Taxotere and permanent loss of hair. It is also widely alleged that representatives of Sanofi-Aventis disseminated to physician and patient populations false and misleading material concerning the probability of hair regrowth following chemotherapy and blatantly failed to label products sold in the United States with the same types of warnings applied to products sold elsewhere in the world. Plaintiffs have asserted that all of this happened despite the existence of multiple studies connecting Taxotere to permanent alopecia, including reports published in widely respected journals such as the Annals of Oncology as well as the American Journal of Dermatopathology. Litigants further argue that the risks of lasting hair loss may have been acceptable to them if no other treatment options existed, but the fact is that post-market studies have shown that Taxotere offers no benefits beyond similar drugs already available which do not carry the same risk of long-term hair loss. This, it is alleged, was known to Sanofi-Aventis, yet the company continued to conceal these critical facts from doctors, patients and the broader medical community. Though pending Taxotere lawsuits number only in the low thirties thus far, it is anticipated that hundreds, and potentially even thousands of new plaintiffs will eventually step forward with claims which will be transferred into the newly-created MDL. Coordinated pretrial discovery will take place in an effort to boost judicial economy, facilitate consistency of evidentiary rulings and foster greater convenience for the parties involved. Ultimately, a series of so-called “bellwether” cases will be slated for early hearing to provide both sides with important insights about how juries react to fact patterns and evidence common to a large number of the outstanding cases. The outcome of the early bellwether trials may serve the additional purpose of spurring global settlement negotiations between Sanofi-Aventis and Taxotere plaintiffs, though the true likelihood of a large-scale resolution certainly remains to be seen. Should such negotiations fail to produce significant progress, individual cases will be returned to their jurisdiction of origin for further proceedings and trial. 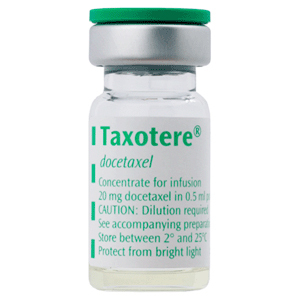 In the meantime, attorneys nationwide are continuing to review cases to determine whether new lawsuits should be initiated as a result of permanent hair loss brought on by Taxotere chemotherapy treatments.